Be on the lookout for C.K. 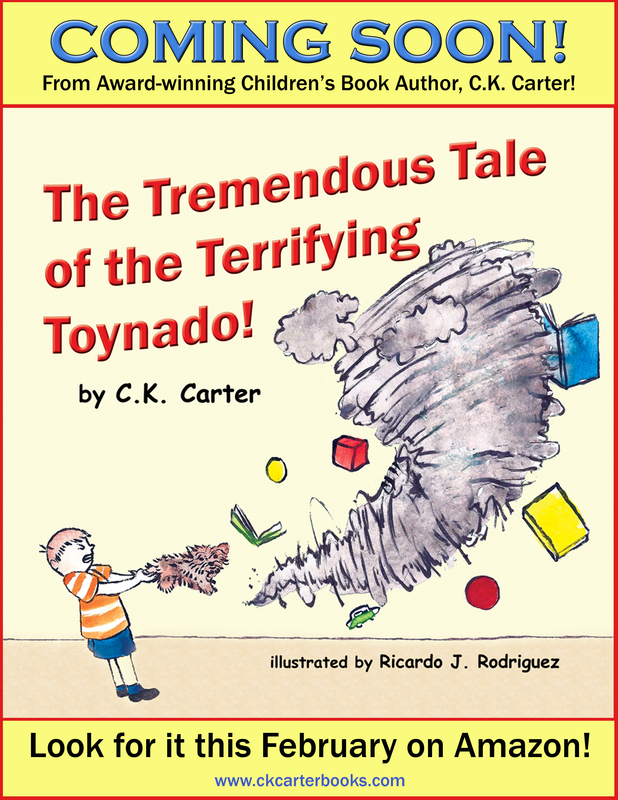 Carter’s next book, The Tremendous Tale of the Terrifying Toynado. This fourth title is a tale filled with rhymes, about a young boy who loves to play but hates to pick up his toys. He finds out just what happens to kids who are untidy. “Toynado” is set for release this February.